The latest deck list and a massively overhauled guide to go with it! 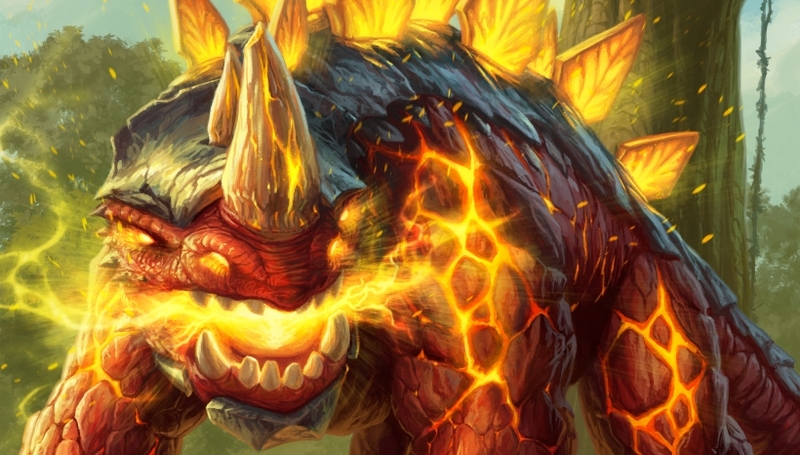 Our Even Paladin deck list guide features the best Rastakhan deck list for Season 61 of Hearthstone (April 2019). Our Even Paladin guide also contains Mulligan advice, card combos and strategy tips. Even Paladin is a Hearthstone deck that's built around taking huge advantage of the Hero Power cost reduction provided by Genn Greymane. For those unfamiliar with the card, Genn reduces the cost of your “dude” button to just one Mana, allowing you to field an awful lot of little guys during each match, and in between your other big cards. In our comprehensive Even Paladin guide, we're highlighting the most competitive version of the deck that's currently seeing play in the Rastakhan meta. We'll be updating that list regularly as the meta changes, so check back soon to see what the latest developments are. We've also got some essential Mulligan advice to help start your games off the right way, as well as in-depth advice on handling aggro and control opponents on the new ladder. We also have video of the archetype in action, a breakdown of all the combos contained in this exact deck list, and a look at the signature cards in the deck. Finally we've got an overview of the Paladin cards excluded by Genn, so you can start thinking about your own creations. We're not aware of any major changes for Even Paladin in the current meta. 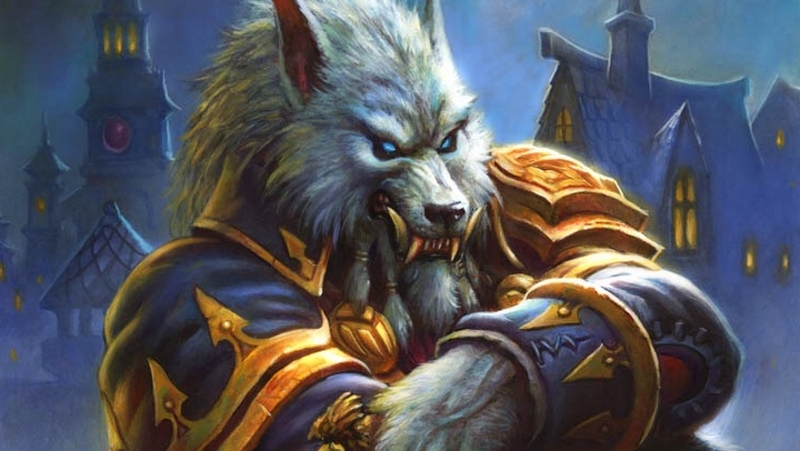 We are of course about to see the early retirement of Genn Greymane from Standard, so don't expect to be playing this one in a week or so from now! Here's the most competitive version of Even Paladin that's being played in the current meta. We'll have a new update for you if anything changes throughout the month. The general overview of this deck's strategy amounts to exploiting your cheapened Hero Power in order to keep generating a lot of minions. These can then be boosted up by any number of cards such as Blessing of Kings or - most commonly - Sunkeeper Tarim. You're not just hoping to swarm the board with Silver Hand Recruits though, and you have other threats to field throughout the game. The Lich King, Tirion Fordring and Val'anyr all have their part to play as you push through ever more damage. Early game: In the early-game it's important to gain some kind of board presence, and continue refuelling it whenever possible using your reduced-cost Hero Power. Cards like Argent Protector, Hydrologist and Corpsetaker help to get you well established at this stage. Mid game: If you've been able to field a decent board's worth of minor minions you can start making use of cards like Truesilver Champion to help preserve your board. Spikeridged Steed can offer you more protection by setting up some beefy Taunt minions, while Avenging Wrath is a good way to clear your opponent’s creatures if they’re creeping ahead. Late game: Sunkeeper Tarim provides you with a way of both empowering your side of the board further while reducing the opponent's threat. Make sensible trades here to give yourself a preferential position. Alongside your beefed up minions you can start pushing through more damage with The Lich King and Tirion Fordring. Here are a few thoughts on handling aggro opponents specifically. 1. You have the power to generate a lot of board presence on the cheap with this deck, and so you should not be afraid to make smart trades to stop the other player developing an overwhelming threat. 2. Keep in mind how strong your late game is. If the opponent's giving you a run for your money, keep one eye on surviving into the later turns. You should always win at this stage against a pure aggro opponent. 3. Do your maths carefully and evaluate all the buffing options you have at your disposal. You may be able to finish the match faster than you think, and knowing when to start pushing lethal damage is vital. 4. If you're depending on a taunt minion to keep your board alive, assume the opponent has a silence effect and plan around it accordingly. If you lose your board, you could well be done for. Against slower, more control-orientated opponents it's worth keeping the following advice at the forefront of your mind. 1. Take a much more aggressive approach when it comes to dealing with control opponents. You have great late-game for a deck like this, but you will lose the control race eventually. 2. Your opponent will be packing plenty of removal, so be wary of over-extending into a signature board-clear turn. Trade off if you have confidence you're about to lose the board. 3. As a very, very general rule, if the opponent does not have a signature removal option coming up on their next turn, hit them in the face. 4. Use your weapons to protect your feeble minions whenever possible. Use your health as just another resource, and don't be afraid to take some punishment if it means your guys get to fight another day. You'll be glad you did when you top-deck a killer buffing option on the next turn. 1. Amani Berserker: A powerful turn two play which can become a particularly bothersome threat if it can trade early and survive. 2. Hydrologist: Good for contesting the board and frustrating the opponent's early game even further with the Secret that you pull. 3. Corpsetaker: A versatile and resilient minion that will help you transition to the mid-game. 4. Argent Protector: A decent two-drop that can also keep one of your early game minions alive when trading with your opponent. 5. Acidic Swamp Ooze: Useful as an early-game minion and extremely useful against just about any weapon wielding opponent in the current meta. - While Crystalsmith Kangor is out in play all friendly healing effects that occur will be doubled in strength. - If your opponent is holding a weapon then you can destroy it simply by dropping Acidic Swamp Ooze onto the board. - The Glass Knight regains its bubble every time you apply a healing effect. - Putting Sunkeeper Tarim out into play will convert all minions - friendly and enemy - into 3 / 3 equivalents of themselves. Tarim himself will remain a 3 / 7 Taunt. You should do any trading - partial or full - that seems sensible before making this play. - Val'anyr grants a random minion in your hand an extra +4 / +2 of stats when you use the last point of weapon Durability. When that minion dies, Val'anyr is placed back into your hand. - Give a minion the effect of Spikeridged Steed's Battlecry and it will gain +2 / +6 stats and that Taunt mechanic. When it dies, a 2 / 6 minion with Taunt will spawn in its place. - There's particular synergy in this deck between Windfury Harpy and Blessing of Kings. Combined, your Harpy will be able to dish out 16 points of damage in a single turn. - When your Val'anyr is destroyed - or you spend the last charge - a random minion in your hand will gain an extra +4 / +2 of stats. When that minion dies Val'anyr is put back into your hand, ready to swing once again. In this section of our Even Paladin guide we're going to pick out the core cards that make the deck work and feature in just about every version of the archetype. That way you can start experimenting with your own versions of the deck. Crystalsmith Kangor: Can be paired with some of the deck’s healing effects to give you some extra survivability. Save it for when you’re going to be able to make use of the effect, rather than playing it onto the board for no reason. Corpsetaker: Represents a lot of value for the Mana cost as it will gain all four Taunt, Divine Shield, Windfury and Lifesteal keywords based on other cards in your deck. The Glass Knight: Can survive an extra turn or two with Divine Shield if you restore health, representing some significant potential value. Genn Greymane: An absolutely vital component of the deck and one you cannot substitute and still gain the bonus effect. The reduced Hero Power cost gives you so much fuel throughout the match, and in the Standard format there's just no other way of replicating this effect. Avenging Wrath: Excellent board clear option to blast through aggro decks and wide boards of smaller minions. Equality / Consecrate: You really can't have one without the other in a Paladin, but the good news is that if you're in a pinch and you have any number of Silver Hand Recruit minions on the board, Equality can be used to bring an enemy minion into range of one of them. Mojomaster Zihi: A unique effect that can devastate decks that rely on having a large mana pool. Sunkeeper Tarim: Works both as a way to buff your smaller minions or weaken the creatures on your opponent’s side so you can trade them off easier. The Lich King: A big and imposing body to drop on Turn 8 that can offer some protection to your life total and put some useful spells into your hand. Tirion Fordring: Another excellent way for you to close out a game. It’s enough of problem by itself, by the weapon you gain upon its death also represents some frightening damage potential. Why not glass knight+blessing of kings?? ?